The foundation of your estate plan is based on five (5) essential documents. Your will often focuses on what happens after you die. The other four documents make provisions in case you become mentally incapacitated. These documents specify how financial or health care decisions will be made If you do not have them, your loved ones must seek court action to get court-appointed guardian to act on your behalf. Last Will and Testament. The most familiar estate planning document, it will distribute your property upon your death, name an executor to settle your estate, name a guardian for your minor and/or incapacitated children. Durable Power of Attorney. Allows you to choose a trusted relative or friend to manage your financial matters including property and finances, within the limitations you set. Medical Power of Attorney. Allows you to choose a trusted relative or friend to manage your healthcare matters and treatments, within the limitations you set, on your behalf in the event you cannot make or communicate them yourself. Advanced Medical Directive. Often known as a “Living Will.” It expresses your preferences regarding life-sustaining medical treatment in a terminal or irreversible condition in the event you lack the capacity to express your preferences. HIPAA Release to Medical Providers. Often medical providers refuse to release medical information without written authorization. This document allows you to “create an army” of loved ones who can access your medical information for you and provide it to you or your Medical Power of Attorney to assess your situation. 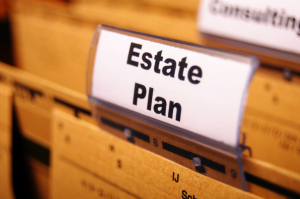 The process to ensuring your estate plan is secure is much easier than you may think. The hardest part is taking the first step. Call me now at (281) 342-9476 or email me at J.E.Junker@junkerlaw.com. I will walk with you through the steps of ensuring your estate and family’s security. This entry was posted on Wednesday, December 17th, 2014 at 9:37 am	and is filed under Uncategorized. You can follow any responses to this entry through the RSS 2.0 feed. You can skip to the end and leave a response. Pinging is currently not allowed.